The Canon PowerShot SX40 HS is a 12 Megapixel super-zoom camera with a massive 35x optical range. Announced in September 2011, it replaces the best-selling PowerShot SX30 IS. 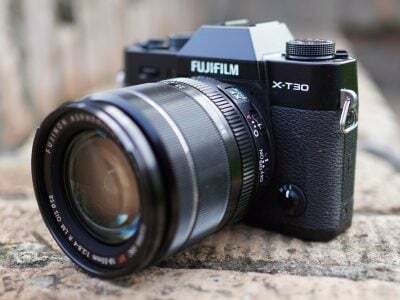 The new model keeps essentially the same body, lens, screen, controls and battery as its predecessor, but switches its 14 Megapixel CCD for a 12 Megapixel CMOS sensor. This reduction in resolution and adoption of CMOS technology is part of Canon’s High Sensitivity, HS, system which claims to reduce noise levels; the SX40 HS is also one of the first PowerShots to employ the company’s latest DIGIC 5 processor. The combination of CMOS and DIGIC 5 also allow the SX40 HS to offer 1080p video at 24fps and faster continuous shooting at up to 10.3fps (for eight frames). Both are very welcome upgrades over its predecessor which only offered 720p video and 1.3fps continuous shooting. The SX40 HS also adds new slow motion movie effects with 120fps VGA and 240fps QVGA options. A selection of Creative Filters can also be applied live, including a miniature effect which also works on movies. The 35x zoom may deliver the same 24-840mm equivalent range as its predecessor, but Canon’s added Intelligent IS technology which automatically switches between different stabilisation modes to best suit the subject and conditions, whether it’s normal handheld, panning, macro or tripod-based. By sharing essentially the same body as its predecessor, the SX40 HS also inherits stereo microphones, a flash hotshoe for mounting external SpeedLite flashguns and a fully articulated 2.7in / 230k screen; and like that model still doesn’t offer RAW recording. As such, the SX40 HS may be little more than the SX30 IS equipped with a new sensor, but since that brings 1080p video, much faster continuous shooting and the promise of lower noise images to what was already a best-seller, Canon could have another winner on its hands. As before though, the SX40 HS is up against a number of key rivals, most notably Panasonic’s Lumix FZ150 and Sony’s HX100V. In the following review I’ll compare all three of these models in terms of features, handling and quality. Since the new SX40 HS shares so much in common with its predecessor, I’ll be concentrating mostly on the new features in this review, especially the quality of the new 1080p movie mode and of course that new 12 Megapixel sensor. But first it’s worth taking an updated look at the lenses of the SX40 HS and its rivals. The headline specification of any super-zoom camera is of course its focal range, and while this is unchanged on the SX40 HS from the earlier SX30 IS, it’s important to see how it compares to its current rivals. So like its predecessor, the SX40 HS is equipped with a whopping 35x zoom range, equivalent to 24-840mm. You can see an example of the coverage below, and it’s clear there’s few if any occasions when you’d want for more. Indeed Canon even includes a facility for those who’ve become ‘lost’ in their composition when fully zoomed-in. Pressing the ‘Zoom Framing Assist’ button in the upper right corner of the rear surface temporarily zooms-out for a quick composition check, before automatically returning to the original longer focal length. Believe it or not though, 35x is not the broadest zoom range available today, as both Nikon and Olympus have pipped the SX40 HS to the post with 36x ranges on their COOLPIX P500 and SP-810UZ, equivalent to 22.5-810mm and 24-864mm respectively. In practice though, the ranges of these three models are very close, and it’s more about playing a numbers-game than actually having any significant difference. Arguably of more interest is how the zoom of the SX40 HS compares to the narrower ranges of the Panasonic Lumix FZ150 and Sony Cyber-shot HX100V. These models sport 24x and 30x ranges respectively, equivalent to 25-600mm and 27-810mm. The FZ150 in particular sounds a lot less flexible when the numbers are written down, but again, it’s important to compare them in practice to see exactly what we’re dealing with. I tested the SX40 HS alongside the FZ150 and HX100V, which amongst other things allowed me to directly compare their actual coverage. In the image below left, the outer edge of the red frame represents the HX100V’s maximum wide-angle coverage super-imposed on the SX40 HS’s maximum wide angle. In the image below right, the outer edge of the red frame represents the maximum telephoto coverage of the SX40 HS superimposed over the maximum telephoto of the Panasonic FZ150. In both cases, the frames were generated by layering and scaling actual images taken with each camera, so the comparisons below are based on real results, not calculations. Let’s look at the wide-angle difference between the 24mm of the SX40 HS and the 27mm of the HX100V, represented by the image above left, and once again you’re looking at the outer edge of the red frame for the HX100V coverage. The SX40 HS is clearly capturing a slightly wider field of view, which is useful at times when you can’t step back any further, but more than making up for it is the HX100V’s sweep panorama which can automatically stitch a series of images together in seconds to deliver a much bigger field of view. Looking at the comparison above right, the difference between the telephoto reach of the SX40 HS and FZ150 is clearly much greater, but again it may not be as significant in practice as 840mm vs 600mm sounds when written down. Indeed the FZ150 could of course match the field of view of the SX40 HS simply by cropping the area marked by the red frame. Doing so would lose roughly half the total pixels in the FZ150’s image, meaning you couldn’t make prints as big, but hopefully you’ll agree it’s useful to see the actual coverage compared in this way as the differences may not be a great as you first expected. It’s also important to discuss any negative impact of having a big zoom range in practice. Canon’s quite aware how easy it is to get ‘lost’ in the composition when fully zoomed-into 840mm, and as mentioned at the top of this section, considerately provides a button which briefly zooms out for a broader look around before zooming back in again. Canon’s also enhanced the image stabilisation to recognise different situations, such as panning or close-ups, and adjust itself accordingly – and that too seems to work well. What did however become apparent when testing the SX40 HS alongside the FZ150 and HX100V though was its less confident autofocus system. Used in isolation, the SX40 HS feels absolutely fine, but compare it directly against the HX100V and FZ150 and you’ll notice it autofocuses a little slower and tracks moving subjects a little less confidently. Again it’s not exactly bad in this regard, just not as good as the other pair, and it’s revealing that the FZ150 focuses most confidently of the three, implying its shorter zoom range could actually be seen as a benefit in some areas of performance. You can see an example of the focus tracking while filming lower on this page. I should also note the camera’s closest focusing distance of 5cm quickly jumps to 30cm with the smallest increase in focal length. Just before moving-on from the lens, a quick note about caps and hoods. The SX40 HS, like the FZ150, employs a lens cap which clips onto the end of the extending portion of the lens barrel, allowing the cameras to power-up unimpeded whether the cap is fitted or not. In contrast the Sony HX100V lens cap clips onto the fixed outer barrel of the lens and therefore gets in the way, although it’s so loose the lens extension easily prods it off. In terms of lens hoods, there is one available for the SX40 HS, but the LH-DC60 accessory is a $25 USD optional extra. Sony doesn’t offer a lens hood for the HX100V, but third party options are available. Meanwhile, Panasonic is the only one of the three to come with a lens hood, and it can conveniently be folded back on the lens barrel for transportation. Externally the Canon SX40 HS looks essentially the same as its predecessor and shares the same dimensions of 123x92x108mm, weighing 600g with battery. This makes it the largest of its rivals, although to be fair it also has the biggest zoom. It’s worth noting the SX40 HS is approaching the size and weight of a budget DSLR, although again sporting a much longer zoom range. Interestingly despite having the largest and heaviest body, the SX40 HS actually has the shallowest grip. The Panasonic FZ150’s grip is slightly deeper, and the Sony HX100V is the deepest of the three. The Canon also feels the most plasticky of the three rivals, lacking the rubber finish which Panasonic and Sony deploy on their grips. As such it’s not surprising to find the Sony is the most comfortable of the three to hold, and the Canon, in my view, the worst – although it is still possible to hold the SX40 HS securely. As always it’s a personal thing, so I’d recommend picking them up in person if you think this is going to be an issue. Like its predecessor, there’s a chunky mode dial on the top of the camera, generously-sized shutter release and video record buttons (the latter alongside the viewfinder and conveniently falling below your right thumb), and a rear wheel which can be spun to set options and tilted in four directions to navigate menus or provide direct access to the exposure compensation, ISO, self-timer and focusing modes. Unlike Panasonic’s FZ150 it’s possible to power the camera straight into playback with a simple press and hold of the play button. My only complaint concerning the controls is the lack of stepped feedback on the rear wheel, which makes it hard to count-out things like aperture or shutter adjustments. As before the HDMI and combined USB / AV ports are located behind a rubber flap on the right, while the battery and SD card slot are housed in a compartment below the camera; there’s still no microphone input, allowing the FZ150 to take the upper hand in this regard. The NB-10L Lithium Ion battery pack is rated at 920mAh compared to the 1050mAh of the NB-7L which powered the earlier SX30 IS, but fitted into their respective cameras the total number of shots you can take is roughly the same: approximately 380 with the screen or 400 with the viewfinder, or about 80 minutes of video. There’s also an AC adapter option. By sharing much the same body, the SX40 HS also inherits its predecessor’s flash hotshoe. This allows the SX40 HS to accommodate (and control) and compatible Canon Speedlite, up to and including the top-of-the-range 580EX II. Since the SX40 HS is roughly the same size as a budget DSLR, it’s also quite manageable to hold and use when fitted with an external flash. Note the FZ150 also offers a full-sized flash hotshoe, although the Sony HX100V does not. All three do have popup flashes though. The Canon SX40 HS shares exactly the same screen as its predecessor, and it’s really beginning to look dated compared to the competition. It’s relatively small by modern standards at 2.7in and nothing to get excited about in the resolution department either with just 230k dots. On the upside the screen, like the SX30 IS before it, is fully-articulated, allowing it to flip and twist in any direction, including towards the subject or back on itself for protection. It’s worth comparing it to the screens on the competition which are all larger and more detailed. The Panasonic FZ150 and Sony HX100V both have 3in screens with 460k and 920k dots respectively. The FZ150’s screen is also fully articulated and can match the same angles and positions as the Canon. The Sony screen is only hinged vertically, allowing it to point directly upwards or almost all the way down. To be fair, while the Sony’s articulation is the least flexible of the three, its vertical tilting does cover most situations – it’s only when you’re taking portrait aspect images at unusual angles or shooting self-portraits or pieces to camera where the others really have an advantage. It is important to also consider their screen shapes. The Canon and Sony screens are both 4:3 aspect ratios, which mean photos taken at their native resolutions fill the screen, while 16:9 video is letter-boxed with thick black bars above and below. When comparing these screens side by side, the Sony image looks much larger than its 0.3in diagonal advantage would imply. In contrast the FZ150 employs a wider 3:2 aspect ratio screen, which means still photos taken at its native 4:3 shape are shown with thin black bars running down either vertical side. Indeed when shooting images this shape, the active area on the screen measures almost exactly the same 2.7in diagonal as the SX40 HS. But the FZ150’s screen is noticeably more detailed than the Canon and if you switch to 16:9 video, the image appears much larger on the Panasonic. Comparing the FZ150 and HX100V screens for video is however much closer. The wider shape of the FZ150 screen gives it a minor advantage when displaying 16:9 content over the HX100V, but it’s pretty close. It’s tough to decide between the Panasonic and Sony screens, but it’s easy to see both are larger and more detailed than the Canon, especially when it comes to video. Canon really needs to fit a larger and more detailed screen to the next model. Coincidentally, the Panasonic and Sony viewfinders also deliver a larger apparent image than the Canon. Compare them side-by-side and you’ll notice the FZ150 and HX100V electronic viewfinders share roughly the same image size, which is noticeably bigger than that on the SX40 HS. Indeed I’d say the Canon image is about three-quarters the size. Note the resolution of the three EVFs looks similar, so the Panasonic and Sony EVFs with their larger apparent image size actually look a bit coarser when it comes to fine details, but there’s no denying the dramatic difference in size. Ultimately the size and quality of the screen and viewfinder images are not going to have any impact on the actual image quality, but bigger and more detailed views when composing and focusing are always nice to have. It’s revealing to find the Canon super-zoom falling behind its rivals in this regard. Like its predecessor, the SX40 HS is packed with shooting modes from fully automatic with scene detection to full manual with control over the exposure and focus too if desired. Once again though I’ll only go over the highlights or what’s changed here. The AUTO mode employs scene detection to have a good stab at figuring-out what you’re pointing at, and can now choose from 32 different scenes compared to 28 on the SX30 IS. Scene detection is also employed in the Movie mode, although the selection it can choose from remains at 21. PASM modes (with access to shutter speeds from 15 secs to 1/3200 and ten aperture values when zoomed-out) and two Custom positions are still available. Turning the mode dial to Creative Filters lets you choose from Fish-eye, Miniature, Toy Camera, Monochrome, Super Vivid, Poster Effect and Canon’s old but popular Colour Accent and Colour Swap options. You can see examples of the first four below. You can also apply some of the Creative Filters when filming video: Miniature, Monochrome, Super Vivid, Colour Accent and Colour Swap are all available for video, although Miniature has one operational aspect that’s worth noting. Since Miniature isn’t an option when the mode dial is turned to Movie, it can only be applied to video when you have it selected for stills and then press the big red record button. That’s fine, but if you’re shooting stills in the native 4:3 aspect ratio of the sensor for the best quality, any subsequent video with the Miniature effect will be recorded at 4:3 in VGA, 640×480 standard definition. The Miniature mode is available for widescreen video at 720p HD resolution, but you’ll first need to switch the photo aspect ratio from 4:3 to 16:9. You can also adjust the frame of sharp focus and the speed of playback between 5, 10 and 20x. 10x seemed to be a good balance and you can see a clip below using it which took about two minutes to film. Note Panasonic’s FZ150 also offers a Miniature mode for video, but records it at 1080p, compared to 720p on the Canon. Turn the mode dial to SCN and you’ll be able to choose from 11 presets and two panorama assist options; the Sony HX100V remains preferred for panoramas though thanks to its Sweep Panorama automatically stitching the images together for you in-camera. Canon frequently hides some of the most interesting modes under the SCN menu and indeed nestled amongst the 11 presets on the SX40 HS are Movie Digest, High-speed Burst HQ and Handheld Night Scene. Movie Digest is a new feature which records a short VGA (640×480) video clip lasting two to four seconds immediately prior to each of your photos and joins them into a movie which provides a fun overview of your day. The SX40 HS appears to buffer video as soon as you start composing and simply keeps the couple of seconds prior to the actual final shot. You can also switch the camera off or take a few shots in different modes, and as soon as you switch back to Movie Digest, it’ll start appending clips to the existing sequence until it reaches one hour or 4GB in size. It’s a fun to see a video emerge of your day’s photo-taking, especially of people as they perfect their poses, although the downside is the continuous buffering of video will see your batteries deplete more quickly, so beware if you’re out without a spare. The second new feature is High-speed Burst HQ, which allows the SX40 HS to fire-off eight full-resolution frames at 10.3fps. I’ll go into more detail in the Continuous shooting section towards the bottom of this page. The third new feature is Handheld Night Scene, which Canon first introduced on the IXUS 1000 HS / SD4500 IS. Arguably inspired by Sony’s Handheld Twilight mode, this fires-off a burst of shots before combining them into one to reduce noise levels and the effect of camera shake. It’s been a valuable ally to have on earlier models, so I’ve devoted a whole page to it in my Canon SX40 HS Handheld Night Scene results. Finally, the SX40 HS also offers automatic dynamic range adjustments using its i-Contrast feature (disabled by default). i-Contrast automatically boosts shadow areas or faces darkened by strongly backlit scenes. To put it to the test I took two photos of a Church interior with and without i-Contrast set to its Auto option. This composition features dark shadow areas and strong window lighting which represents a challenge for any camera’s exposure system. The example above shows i-Contrast selecting the same exposure when enabled, and while there’s no detail retrieved in the saturated windows, the darkest areas such as the roof, flooring and benches have received a small boost. The histograms below each image give a better idea of what’s going on, with a more gentle slope to the shadow values, albeit still with clipping in the highlights. It’s a pretty subtle difference for this particular scene. Finally, the SX40 HS’s Date Stamp option allows the time, date or both to be permanently written in the corner of the image. Such digital mutilation may horrify many photographers, especially considering the date and time are always present in the EXIF data of the file itself, but I’ve heard from sufficient numbers of people who want the feature to know it’s something of value. In one of the headline improvements over its predecessor, the SX40 HS can now shoot video at up to 1080p, although 720p and 640×480 VGA modes are also available. You can start filming at any time by pressing the big red record button and are free to optically zoom the lens while filming. You can also take a still photo while filming at the full resolution (albeit cropped to 16:9 if filming in HD) although doing so will interrupt the recording by about a second. When set to 1080p, video is captured at 24fps, although interestingly the camera switches to 30fps for 720p and VGA. The SX40 HS also support’s Apple’s iFrame format, recording video at 720p / 30fps. Best quality 1080p footage consumes around 4Mbytes per second, and you can keep recording until the file reaches 4GB in size or 29:59 in length. Unless your footage is extremely simple, you’re likely to hit the 4GB limit first, after around 15 minutes in 1080p or 20 minutes in 720p. Canon recommends using SD cards rated at Class 6 or higher. If you need to record longer clips, one of the few models to allow it is Panasonic’s FZ150, which can keep recording until you run out of space or power, although European versions are still limited to 29:59 per clip for tax regulations. Audio is captured by a pair of tiny stereo microphones positioned just above the lens barrel, under the viewfinder head. 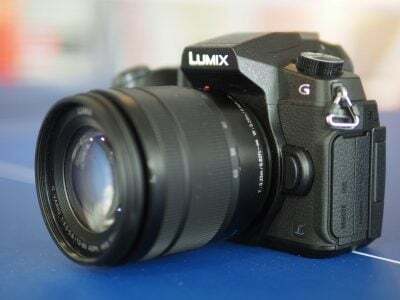 Impressively there’s the option to adjust recording levels, along with applying a wind filter, but the Panasonic FZ150 remains the only super-zoom camera in its peer group to offer an external microphone input. Exposure control is automatic, although you can preset the camera to a scene mode for a specific effect if desired. As mentioned earlier, you can also apply a number of special effects including the increasingly ubiquitous Miniature mode, although this particular mode is only available at a maximum of 720p. Like some CMOS-equipped super-zoom cameras, the SX40 HS can also capture high speed video for slow motion playback. While models like the Panasonic FZ150 only offer one option shooting 220fps at QVGA (320×240) resolution though, the SX40 HS gratifyingly offers the choice of two options: 240 fps at QVGA (320×240) or 120fps at VGA (640×480). Ultimately it’d be more desirable to have a slow motion option in HD, but as it stands, the SX40 HS offers the highest quality option of its peers with a VGA slow motion mode. At either quality setting, you can record for up to 30 seconds, with the 240 and 120fps clips playing back at 8x or 4x slower than normal. Audio isn’t recorded in this mode and you can’t adjust the zoom once you start filming either. You can see an example at VGA resolution at the bottom of the sample clips below. Now let’s take a look at some sample videos and as always, registered members of Vimeo can download the originals for evaluation on their own computers. The first clip above was filmed handheld and demonstrates a 180 degree pan, followed by a short walk and a full zoom in and back out again. As always I started the clip by filming bright sunny reflections on the rippling water, and this is something which would have resulted in vertical streaks on the earlier SX30 IS, due to its CCD sensor. Now thanks to a CMOS sensor, the SX40 HS avoids these issues, although to be fair, this brings it in line with the Panasonic FZ150 and Sony HX100V. The stabilisation does a good job reducing the wobbles even when fully zoomed-into 840mm, and the continuous AF mostly keeps the subject in focus. You may however notice some rolling shutter artefacts when there’s a sudden change in direction, particularly after panning across to the steamship near the end. Sadly you’ll see a few more of these as this section progresses. 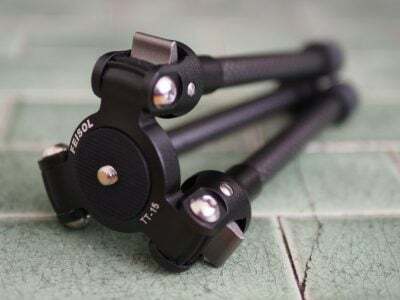 For my second clip above, I mounted the SX40 HS on a tripod with a fluid head and smoothly panned it from left to right to illustrate a calmer environment. Thankfully the rolling shutter artefacts have been banished in this clip. My third clip was filmed from the same location and demonstrates the enormous range of the zoom while filming. During the zooming process though the image appears to wobble and shift a little. This is something you commonly see on many super-zoom cameras, but the SX40 HS – or at least my test sample – seemed to suffer a little more than normal. During these wobbles, and also when fully zoomed-in, the rolling shutter artefacts also become visible again. In terms of focusing, the SX40 HS does a reasonable job at keeping the subject sharp, only drifting occasionally. In my fourth clip, above, I’ve really put the stabilisation and zoom to the test by handholding the camera and tracking moving action while adjusting the focal length back and forth several times. I started the clip fully zoomed-in, and the SX40 HS struggles to find anything of sufficient contrast to focus-on. This is partly due to the longer-than-average focal length and partly to do with the motion, but it’s revealing that models with shorter zoom ranges, such as the Panasonic FZ150, performed much more confidently in this situation. It seems like the longer zoom range of the SX40 HS can prove to be a disadvantage at times. To test the video capabilities in low light I moved indoors for my fifth clip. The SX40 HS does a good job here, with a result that’s not too noisy and which manages to avoid focus searching. I should also note that while the SX40 HS falls behind the FZ150 in some video regards, it managed to properly expose for this clip without having to switch shooting modes. In my sixth clip, above, I put the continuous AF capabilities to the test in a cafe environment, constantly moving the camera and pointing it at subjects at different distances. The continuous AF on the SX40 HS worked pretty well here, although again not quite as confidently as the FZ150. I should also add if you zoom-in only a fraction from the widest setting, the closest focusing distance jumps from 5cm to 30cm, which meant I had to film this clip with the lens full zoomed-out – at which point there’s not much of a challenge for the AF system. PS – I go through quite a few drinks and cakes in this cafe, for my – ahem – tests, so if you find my reviews useful and ever feel like treating me, feel free to buy me a coffee – cheers! In my seventh clip, above, I really put the continuous AF capabilities to the test with a subject steadily approaching the camera. I zoomed the SX40 HS to its maximum focal length and kept the Skyline logo on the cable car in the middle of the frame. As you can see the SX40 HS struggled to keep the logo in focus for most of the clip – it’s not that it was searching back and forth, but simply that it couldn’t lock-onto the subject. I should also add the subject was within the focusing limits at this focal length even when the cable car drew alongside. This is similar to what I experienced with the earlier clip of the steamship and it got me thinking: if the SX40 HS struggles with AF at 840mm, and models like the FZ150 seem fine at their maximum of 600mm, maybe it’s a question of focal length being the problem. So I re-filmed this clip with the zoom reduced. You can see this second version below and while it’s arguably better than my first, it’s still not crisply focused on the subject. You can also see the dreaded rolling shutter artefacts reappearing when the camera gets wobbled by people exiting from the cable car in front. In my final 1080p clip below, the SX40 HS goes some way to redeeming itself. It’s a handheld shot, starting with the lens fully zoomed-into 840mm and tracking an approaching jetboat. As the boat comes closer I zoom all the way out and all the way back in again, and throughout the camera does a good job at keeping the subject in focus. Before wrapping-up I have two more clips for you, both filmed using the Super Slow Motion modes. As described above, the SX40 HS offers two high-speed filming options: 240 fps at QVGA (320×240) or 120fps at VGA (640×480). You can see an example of the VGA mode below, where the footage played-back at 30fps, is effectively slowing the action by four times. You can see a similar clip opposite filmed with the QVGA option, where the footage has been slowed by eight times. Like other slow-motion modes on rival models, it’s a shame there’s no HD options at high frame rates, but in its favour, the SX40 HS does at least offer a VGA option over Panasonic (albeit at half the frame rate of all of their QVGA options). It’s also worth noting the Sony HX100V doesn’t offer any slow motion video mode. Overall the SX40 HS’s video performs pretty well and viewed in isolation most people would be quite satisfied with it. There’s also the chance to adjust audio levels and enjoy fun modes like the Movie Digest which captures a couple of seconds of standard definition video before every still photo, to tell the story of your photography. But compare the SX40 HS directly with rivals and it can sometimes disappoint. The continuous focus tracking does a fair job, but it’s not as confident and accurate as the Panasonic FZ150, even when they’re zoomed to the same focal length. Meanwhile all cameras with CMOS sensors can suffer from the rolling shutter effect, but the SX40 HS seems to suffer more than its rivals, especially when handheld at long focal lengths. Then there’s the specifications and added features. All three CMOS super-zooms offer 1080p video, but the SX40 HS does so at the lowest frame rate of 24fps compared to 50 and 60 on the Sony and Panasonic depending on region; film makers may like the native 24p of the Canon, but filming at 50 or 60p gives you the chance to reduce the speed by two or 2.5 times for HD footage in a 25 or 24fps project respectively. The FZ150 goes even further beyond by also offering longer clips (for non-European models), manual control over exposures, a 1080p miniature mode (the SX40 HS drops to 720p here), and an external microphone socket for better audio (albeit without the levels adjustment of the Canon). The Canon SX40 HS video mode is good, but the Panasonic FZ150 simply outclasses it. The SX40 HS offers two main continuous shooting options: the first, accessed from the FUNC.SET menu from any of the primary shooting modes can fire-off shots at 2.4fps without AF until you run out of memory. The second mode, known as High Speed Burst HQ and accessed via the SCN preset menu, is much more promising, shooting up to eight frames in a burst at 10.3fps; note focus and exposure are locked from the first frame, but since you’re capturing less than a second of action it’s not too great an issue. To put the numbers to the test I fitted the SX40 HS with a 16GB SanDisk Extreme Pro UHS-1 card rated at 45MB/s and photographed the fast action of the Shotover Jetboats. When set to Continuous without AF, the SX40 HS happily took 50 shots in 24 seconds and was happy to continue at this speed while memory remained. The speed however corresponded to a fraction above 2fps, rather than the 2.4fps quoted. You can see ten frames from this mode below. Switching to the SCN mode and selecting High Speed Burst HQ allowed the SX40 HS to fire-off its burst of eight frames in about 0.9 seconds, corresponding to a speed of around 9fps. The camera took about four seconds to flush its buffer before it was ready to shoot another burst of eight frames. You can see all eight frames from a burst below. This is fairly quick performance from the Canon SX40 HS and a big improvement over its predecessor, but as always it’s important to compare it against its competition which also offer fast but short bursts. The Sony HX100V can capture 10 frames at 10fps, while the Panasonic FZ150 can capture 12 frames at 12fps. While the FZ150 has a slight edge here, they’re all effectively only capable of capturing one second’s worth of action, and in many situations, this simply isn’t enough. For example in the sequence above, the jetboat has only had a chance to perform quarter of a rotation in one second. All three models offer slower modes which can shoot for longer periods, but again there are important differences to note. The Sony HX100V has a 2fps mode albeit limited to the same ten frames as its faster option, although this does at least get you five seconds of action. As you already know from the first example, the Canon SX40 HS also has a slower option, shooting at 2.4fps (closer to 2fps in my tests), but continuing to shoot for as long as you have available memory. This is more practical than the Sony 2fps mode, but both represent a big drop from their top speeds. The Panasonic FZ150 also offers a 2fps, but importantly squeezes a 5.5fps option in there too, both of which can shoot for up to 100 frames with the added benefit of AF; the 5.5fps option ended up being a real sweet-spot in my testing. The FZ150 additionally offers ultra-high speed options: 40fps for up to 50 frames at 5 Megapixel resolution, or 60fps for up to 60 frames at 2.5 Megapixels. This breadth of choice makes the FZ150 the preferred option when it comes to continuous shooting, although I don’t in any way want to discourage Canon which previously only offered pointlessly slow options. At least the SX40 HS now offers two usable continuous shooting options which are a big step-up from the paltry 1.3fps of the SX30 IS. The 1080p video, slow motion and fast continuous shooting modes on the SX40 HS are made possible by its high-speed CMOS sensor. This is a key difference between it and the earlier SX30 IS which employed a CCD sensor. Another is the presence of Canon’s latest DIGIC 5 image processor. Revealingly, like Panasonic, Canon has taken a step backward from the Megapixel race, opting for 12 Megapixels on its latest super-zoom, compared to 14 on the earlier SX30 IS. Interestingly Sony is however still playing the numbers game, packing 16 Megapixels into its HX100V. The SX40 HS allows you to record images at four different resolutions, in four different aspect ratios and in the choice of two JPEG compression levels. Best quality Large Fine 1:1 JPEGs typically measure 2.5 to 3MB each. Like its predecessor, there’s no option to record RAW files – in the current crop of super-zooms, that’s left to the Panasonic FZ150 and Fujifilm HS20 EXR. Canon claims the 12 Megapixel resolution of the back-illuminated CMOS sensor in the SX40 HS coupled with the DIGIC 5 processor delivers lower noise levels than its predecessor. There’s only one way to find out so over the following results pages you’ll see how the noise measures-up compared to the competition, along with their actual resolving power. I’ll also take a close look at the Handheld Night Scene mode which captures a burst of images before combining them into one to reduce noise. So to find out how the Canon SX40 HS compares, check out my real-life resolution, high ISO noise and Handheld Night Scene results pages, browse the sample images gallery, or skip to the chase and head straight for my verdict.